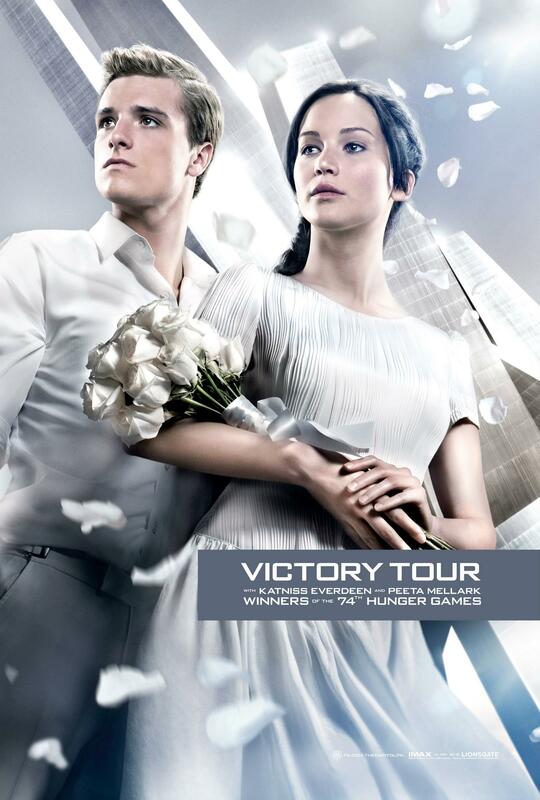 Jennifer Lawrence Online | » The Hunger Games: Catching Fire Victory Tour Poster! A fansite devoted to the actress Jennifer Lawrence. 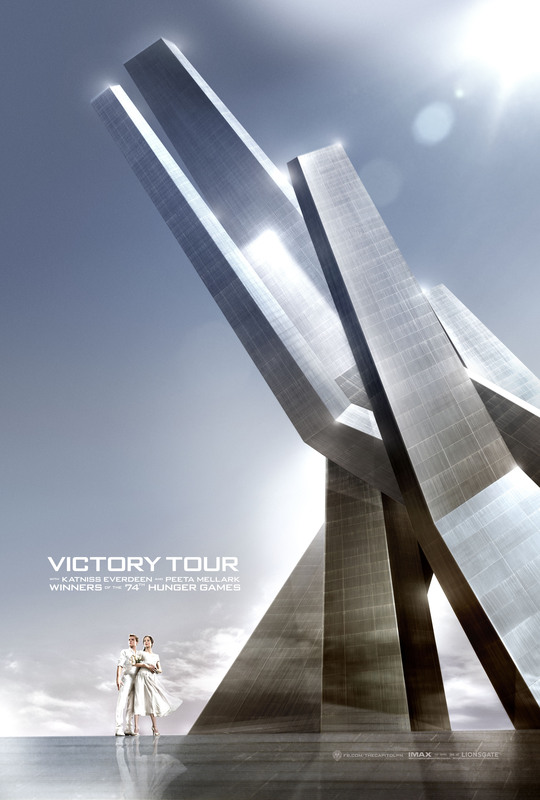 The Hunger Games: Catching Fire Victory Tour Poster! What a day! Firstly, Jennifer’s photos from Miss Dior campaign finally saw the light of the day and now, Liongate showed us a brand new poster from the second film in the Hunger Games franchise, Catching Fire! The poster was just posted to The Hunger Games? Official Facebook Page and shows main protagonists of the movie, Katniss Everdeen and Peeta Mellark. It’s already available in our gallery, so be sure to check it out! How you like it? Welcome to Jennifer Lawrence Online! JenniferLawrence.org is a fansite devoted to the actress Jennifer Lawrence. Here at Jennifer Lawrence Online you will find all the latest news, images, videos and information on Jennifer and her continued career. If you have any questions, concerns or donations please contact me and you will get full credit. Stick with us, look around, and enjoy your stay! Mystique, Beast, Storm, Nightcrawler and the rest of the X-Men spring into action when a malevolent, power-hungry force threatens to overtake Jean Grey’s mind.. The life of novelist and Jazz Age socialite Zelda Fitzgerald during her marriage to author F. Scott Fitzgerald. The story of wartime photographer Lynsey Addario, who was one of four journalists held captive by the Libyan Army in 2011. Entrepreneur, Elizabeth Holmes, creates a bio-tech company that skyrockets her to fame with an estimated value in the billions, but when federal agencies begin investigating the company, her integrity is called into doubt. If you like this site and visit it regularly, we would appreciate if you donate anything you can to help this site continue. Any value is appreciated. Jennifer Lawrence Online is a website created by a fan, for the fans and is in no way affiliated with Jennifer, or any company associated with her. All media, photos, trademarks and copyrights are owned by their respective companies. No copyright infringement is intended. Please contact us if anything should need to be removed from our servers. JenniferLawrence.org is a non-profit fansite, 100% unofficial, and has no affiliation with Jennifer herself or anyone around her. Please do not send any fanmail to us for they won't be forwarded to Jlaw. All photos are copyright to their respective owners, no copyright infringement is ever intended. Any material seen on this website and is used, to the best of their knowledge, under the "Fair Use" copyright laws.